IF YOU’RE NOT HAPPY FOR ANY REASON JUST LET US KNOW AND WE’LL SEND A REPLACEMENT BOUQUET OR OFFER A REFUND. All orders received are subject to acceptance by Mermaid Florist and any of its personnel, reserve the right, at our absolute discretion, to reject any order without giving reasons. In the event of rejection, we will refund or cancel any payments received in full, via the payment method used to place the order. If you wish to change your order please do so by emailing info@mermaidflowers.ie We’ll always do our best to make last-minute changes for you, but we can only guarantee changes (including to the delivery address and in relation to card messages) that are requested by 9am the day before the intended delivery date. At peak periods we begin processing orders earlier than usual, to account for the large volume of deliveries. This means that we may need up to 2 days notice for any changes to be made. One-off orders can be cancelled by 9am the day before the intended delivery date and a full refund will be issued. The easiest way to cancel your order is by sending an email to info@mermaidflowers.ie At peak periods we begin processing orders earlier than usual, to account for the large volume of deliveries. This means that we may need up to 2 days notice for any changes to be made. We accept American Express, Visa and MasterCard credit and debit cards as well as. 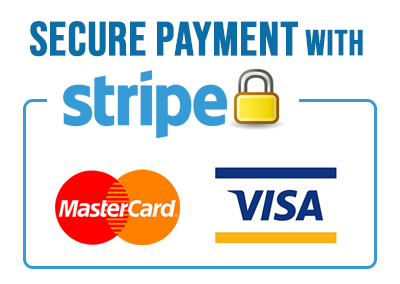 In order to offer the best security, all our payments are processed securely by Stripe Payment Processor. We never store or have access to your credit or debit card details. We deliver using our own drivers and delivery vehicles. All delivery charges are listed when the delivery address is added to the order. We will endeavour to deliver your order on your chosen date, however if there is no one available to accept delivery we will attempt delivery again on the next day. We cannot guarantee the exact delivery date or time. We will endeavour to follow all delivery instructions. Timed deliveries are available at an extra charge and by arrangement. In the event of a non-delivery (flowers not having arrived 3 days after their intended delivery date), please contact us at info@mermaidflowers.ie. It is the customer’s responsibility to contact us within 7 days of the scheduled delivery date in order to claim a refund. Failure to do so will result in the lapse of any rights to a refund. We aim to delight our customers by delivering fresh flowers, in great condition, on time. Our flowers are occasionally sent out in bud form meaning they will last longer with the recipient. If you receive flowers that do not seem fresh, please contact us at info@mermaidflowers.ie to let us know. If, at our sole discretion, the flowers do not meet our high freshness standards, we will give you the choice of a free replacement at our next available delivery date, or a refund. Please note that you will need to email us a photo of the un-fresh flowers within 72 hours of receipt in order to be eligible for a refund. If we offer you a refund, we will refund you the full amount within 3 days. Please note that banks might take an additional 3-5 days to refund the amount to your card. During adverse weather conditions (including but not limited to heavy snow, ice, flooding or high winds), our delivery drivers may not be able to deliver orders on time. This is outside of our control and we cannot accept responsibility for the late delivery of the order. Therefore, in the event of adverse weather conditions, we aren’t able to refund or offer re-delivery of affected orders. Mermaid Flowers shall not be liable for delay in performing or for failure to perform its obligations if the delay or failure results from any of the following: (i) Acts of God, (ii) outbreak of hostilities, riot, civil disturbance, acts of terrorism, (iii) the act of any government or authority (including refusal or revocation of any licence or consent), (iv) fire, explosion, flood, fog or adverse weather, (v) power failure, failure of telecommunications lines, failure or breakdown of plant, machinery or vehicles, (vi) default of suppliers, sub-contractors or delivery partners, (vii) theft, malicious damage, strike, lock-out or industrial action of any kind, and (viii) any cause or circumstance whatsoever beyond Mermaids Flowers reasonable control. Customer’s full name and address. Recipient’s full name, telephone number and address. We require this information in order to deliver the flowers you have ordered. It is vital that the recipient’s address is accurate. We reserve the right to supplement and amend the Terms and Conditions on which you are permitted access to the Mermaid Florsit website from time to time. Additionally, we reserve the right to suspend, restrict or terminate access to Mermaid Flowers services for any reason at any time. Terms and Conditions is held to be invalid or unenforceable, the remaining provisions shall remain in full force and effect. Thank you for your order, and we hope your Mermaid Flowers experience will be a pleasurable one. 104 Main Street, Bray, Co Wicklow, Ireland.